With over 35 years of experience putting on the gloves for his clients, Pensacola attorney Michael J. Griffith is here to take on your personal injury claim and fight for the compensation you deserve. Florida is among the minority of states that follows the legal rule of “pure comparative negligence” in personal injury litigation. This means that if you are 75% at fault in causing the accident and someone else is 25% at fault, you will still be able to recover 25% of your damages. If you are only 5% at fault, you will be able to recover 95%. This applies to your medical bills, lost wages, pain and suffering, and other economic and non-economic damages. If you have been injured in an accident, the most important thing to do is seek immediate medical attention. While we can help you obtain settlement money or damages to help cover your expenses and other losses, you still may be facing the very real prospect of your life never being the same again. Making sure you receive the best available medical care as soon as possible will help ensure that the physical and emotional tolls of your accident are minimized as much as reasonably possible. If you do not know a good doctor, we can recommend one. Our attorneys regularly work with medical experts in Pensacola and all across Florida who are especially attuned to the unique risks and issues involved with personal injuries from collisions, slips and falls, and other types of accidents. After seeking medical treatment, it is important to retain competent legal counsel right away. Insurance adjusters will likely be contacting you, evidence will start to fade, and a number of other factors will quickly start to affect your case. 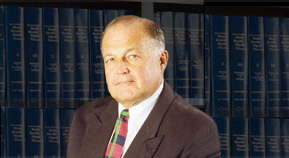 Michael J. Griffith, P.A. and our team of trusted experts will get to work right away, doing everything necessary to preserve your claims and maximize your chances of obtaining a full financial recovery. If you or a loved one has been injured in a car crash, motorcycle accident, or other incident where someone else is to blame, please contact our Pensacola law offices right away. With more than 35 years’ experience going to court to fight for his clients, Michael J. Griffith can help you win the compensation you deserve.